You’ve seen all the memes, and have probably liked and shared them. The jokes about not speaking to someone until after your first cup of coffee, that your blood type is java, or about mainlining coffee through an IV. 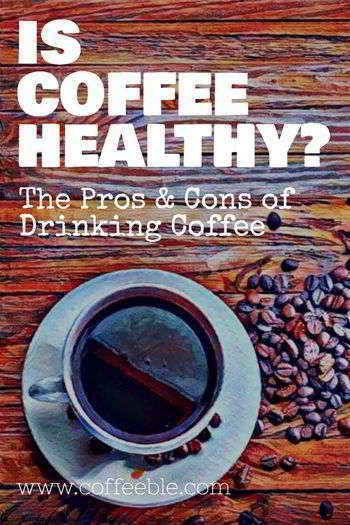 You love your coffee; but is it healthy? How To Make Coffee Healthier? It seems like there’s a new consensus on that issue daily, so maybe it’s time to for a dive into the literature. Let’s see how beneficial your morning joe is, and whether it’s time to fold or double down on it. First, there’s something you should understand about the science on coffee. In a perfect world (for researchers) it would be possible to randomly assign people to either coffee-drinking or non-coffee-drinking groups and hold all other factors constant while we measure the outcomes. We can’t do that for all sorts of practical reasons. So, what researchers do instead is they ask people about their coffee-drinking habits and then draw associations between those habits and their health. So if unhealthy people tend to drink coffee, then the research will reflect that and the opposite is true as well. That’s what is meant by “correlation is not causation” and whether the news on coffee is good or bad, we always have to be careful about which effects are actually caused by coffee. It's no secret: Coffee is good for you! Let’s start with the good stuff. Scientists have identified a number of benefits associated with drinking coffee. Coffee consumption has been found to be associated with reduced risk of some diseases. Studies have found that while drinking these types of beverages can have the short-term effect of raising blood sugar, the antioxidants that are found in it may have some benefits for diabetes. These antioxidants are believed to help with insulin sensitivity meaning that a person’s body is better equipped to handle insulin and can lower the risk of getting type 2 diabetes in the long run when consumed on a regular basis. 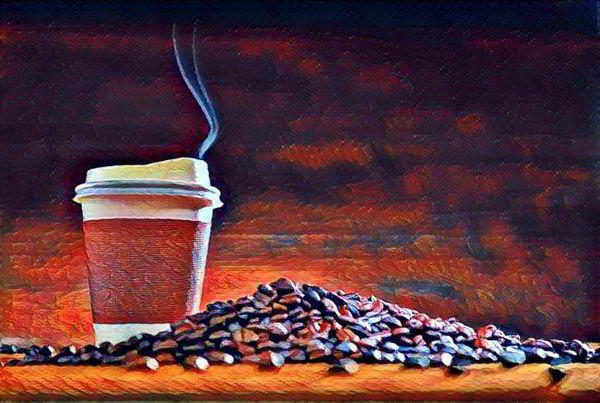 One study that lasted 10 years, tracked the coffee consumption of over 46,000 men and found that the men that regularly drank coffee were less likely to have gallstones form than those men in the study that did not drink coffee. And as most of us know first-hand, coffee may improve cognitive function. These are all great benefits that can be had from consuming one of your favorite beverages. It it generally considered safe to drink up to six cups of coffee in a day. However, that means that exceeding that guideline can be unsafe. 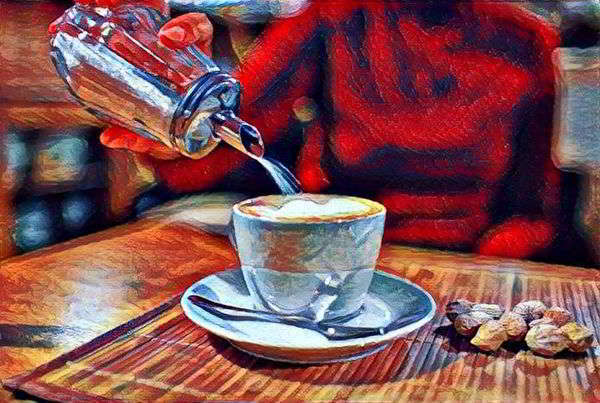 It’s relatively difficult to drink enough coffee in a day to hurt you, but if you have pre-existing health conditions it can happen. The long-term effects of truly heavy coffee drinking are also not really well known. Caffeinated coffee could be harmful for pregnant women in large doses. However, it’s considered safe to have 12 ounces or less per day. Sticking to that amount or switching to decaf while brewing a new human seems to be a wise idea. Coffee that isn’t brewed using a paper filter will still have a substance in it that can increase your LDL cholesterol. Fortunately, it’s pretty easy to fix that one. Drinking coffee later in the day can have an impact on your ability to fall and/or stay asleep. This varies per individual but if you’re having trouble getting to sleep, stop consuming caffeine earlier in the day. Coffee is a habit-forming stimulant. Pretty much no one would deny that and everyone knows it, but it’s a consideration. Coffee is a mild diuretic, which means you’ll go to the bathroom more if you drink caffeinated coffee. This is more of a consideration than a risk and also something that everyone knows if they’ve tried it. The risks, all told, are pretty modest—especially compared to the benefits. Drinking decaf allows you to keep most of the benefits and remove almost all the risks. However, the biggest health risks actually come from the other ingredients in your daily beverage. If you’re adding sugar and fat to your diet, those come with their own risks of course. Sugar has ugly health consequences and consuming dairy isn’t much better. Those are both additives that you completely control though. The good news is that coffee is not something that’s so unhealthy that you need to stop drinking it right now. However, there are some things that can make this drink unhealthy for you. If you are one of those people that drink more than six cups of coffee a day, it’s a good idea to start cutting back on your intake. If you happen to be one of those people that don’t sleep well at night or have a hard time getting to sleep, you may want to stop drinking coffee earlier in the day to help get the effects of caffeine out of your system. This may take a little experimentation to find what time works best for you. Try stopping earlier and earlier in the day until you notice a positive difference in your sleep patterns. You may want to switch to decaf if you happen to have a health condition that can be worsened by caffeine. Aside from simply failing to add sugar and dairy and choosing decaf, there are other ways to increase the healthfulness of your coffee. One is to choose coffee that is less likely to have harmful mold in it. Even worse than mold are the chemicals intentionally added to coffee. Conventional coffee is one of the most heavily treated foods in terms of added chemicals. Pesticides, herbicides, fungicides, and more are all slathered liberally onto your coffee beans. Thus this is one case where it’s difficult to dispute the superiority of buying organic. Organic coffee can be difficult to find at coffee shops but it’s getting more common in grocery stores and you can definitely find organic options online at sites like Thrive Market. The good news is that you don’t have to give up your favorite beverage. You can still have your pick-me-up for when you need that little extra kick to get you going, but as with everything good in life, moderation is vital. The even better news is that now you have some trivia that you can spout when your friends and family give you a hard time for your love of coffee. Are you convinced? Leave us a comment below and let us know!